This man bet on Donald Trump and now it will almost certainly pay off. 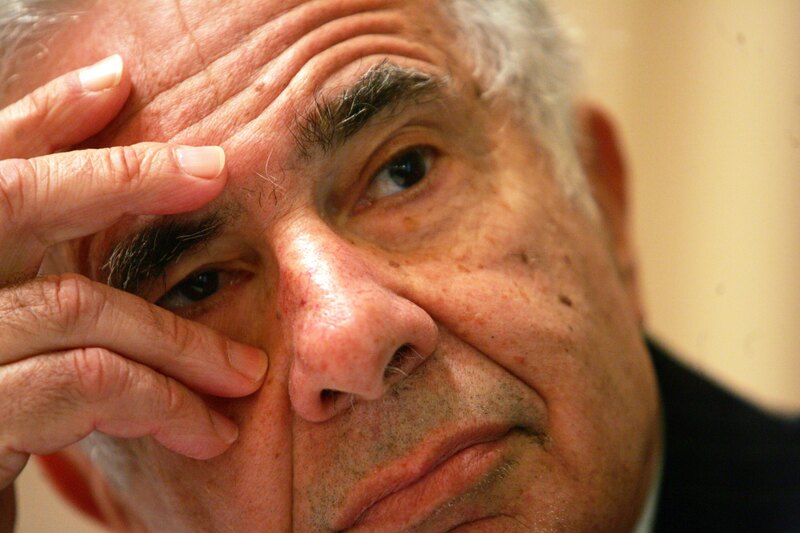 Meet Carl Icahn. He's the big-time Wall Street investor and activist shareholder who made a name for himself by taking over a large number of shares in famous American companies like TWA, MGM, Nabisco, and Texaco. Now, Trump has named Icahn his adviser "on matters of regulatory reform." So what is Icahn's net worth? According to Forbes he is worth $16.5 billion. But that's just as of Wednesday, Dec. 21. It can always go up, especially when he's going to have a role in regulating the industries he cares about — those he invests in, as well as Wall Street. Icahn won't make any money in this role, and he won't need to be confirmed by the Senate because it's not an official role in the Cabinet; he will advise as an individual, but he will still likely have plenty of influence. He's already working on the transition team to help decide the next chairperson of the Securities and Exchange Commission (which regulates the nation's stock exchanges) — surely no conflict of interest there. Carl was with me from the beginning and with his being one of the world's great businessmen, that was something I truly appreciated. He is not only a brilliant negotiator, but also someone who is innately able to predict the future especially having to do with finances and economies. His help on the strangling regulations that our country is faced with will be invaluable. Under President Obama, America's business owners have been crippled by over $1 trillion in new regulations and over 750 billion hours dealing with paperwork. It's time to break free of excessive regulation and let our entrepreneurs do what they do best: create jobs and support communities. Icahn invested about $1 billion into stocks as world markets reacted badly at first to Trump's win, according to Forbes. That means he will probably enrich himself as stocks continue to recover. There was the bounce when Clinton conceded, and now stocks have continued to rise as investors become eager to see Trump's new regulation-free or regulation-lite reality come Jan. 20. Icahn will have gained plenty if that trend continues. And as Trump's new adviser, he will likely decide if it does.